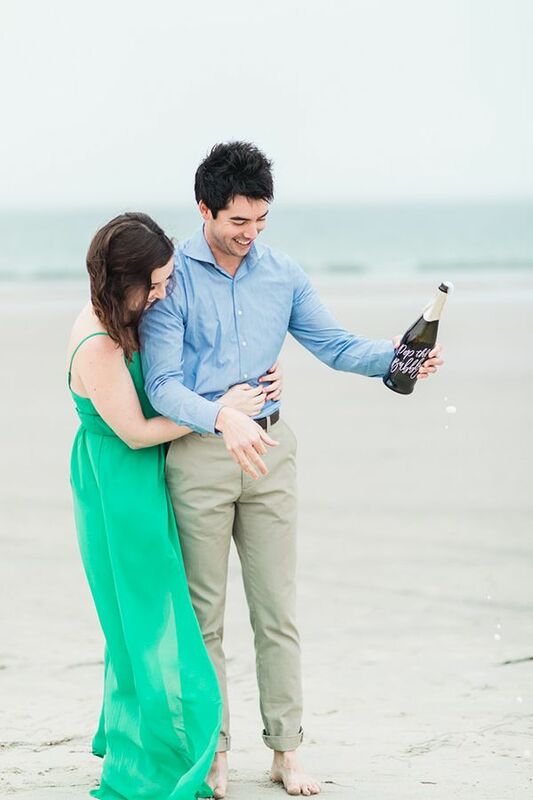 We're headed to the coast! 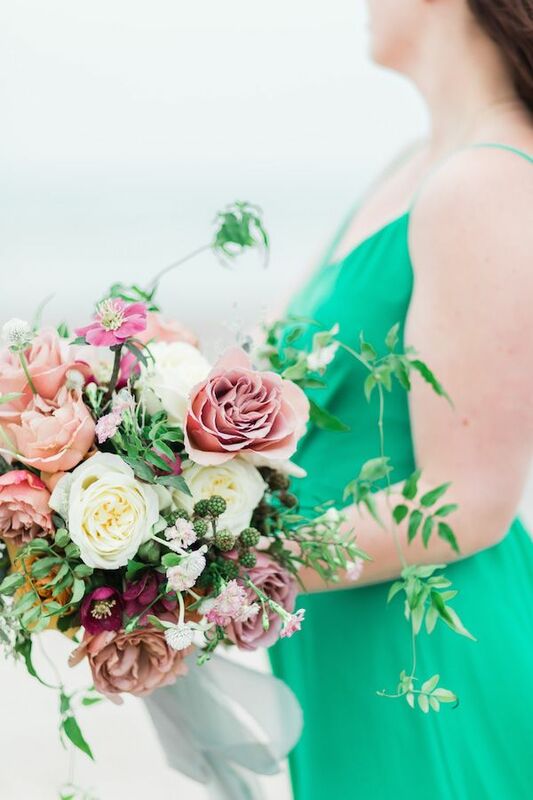 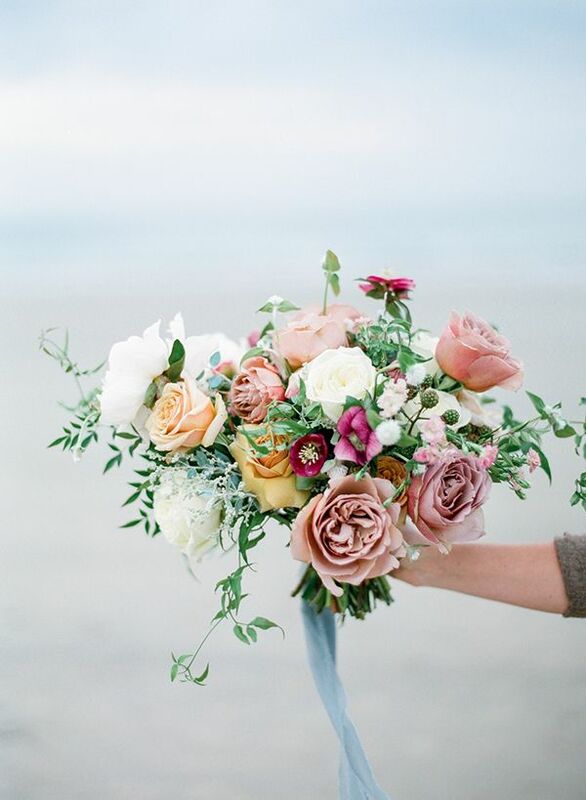 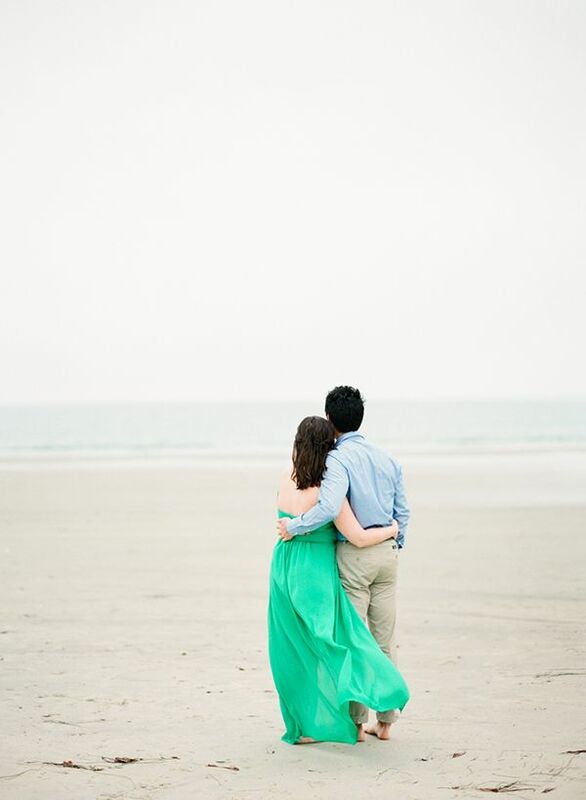 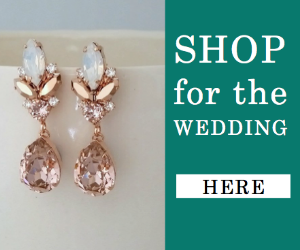 The west coast that is, and boy what an array of colors and ideas this sweet e-sesh brings. 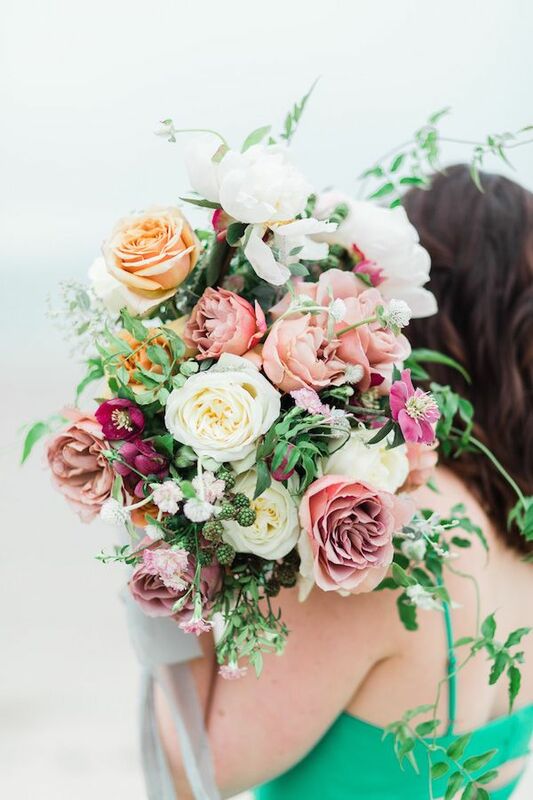 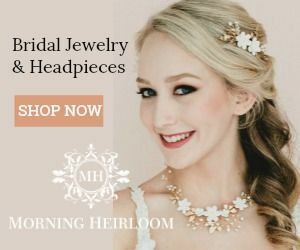 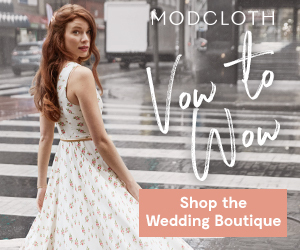 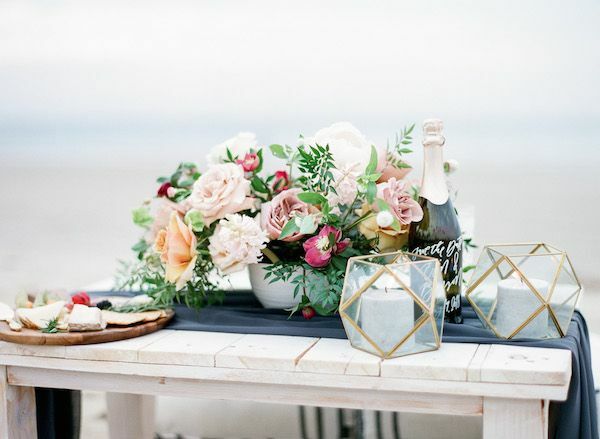 Erin and Bryson took to the seaside of the La Jolla coastline and with the help of Cavin Elizabeth snapping lovey-dovey photos and R Nicole Events creating the ideal styling for the beach picnic, tons of magic was made. 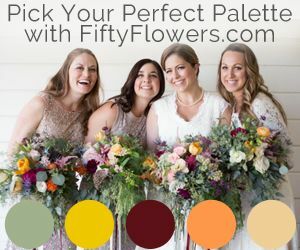 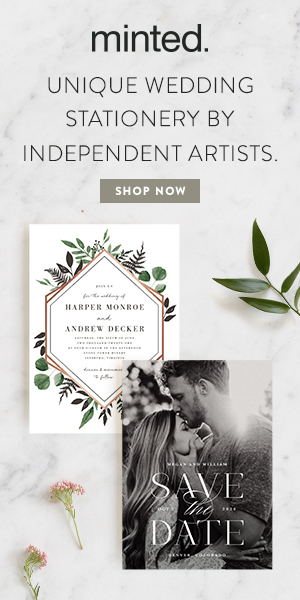 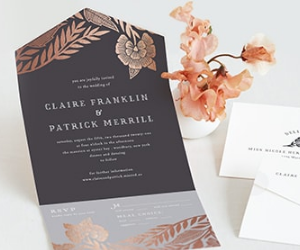 From the florals by Blue Ladder Botany to the sweet calligraphy especially made for Erin and Bryson's save-the-dates, we think you'll find yourself pinning every single photo from this session. 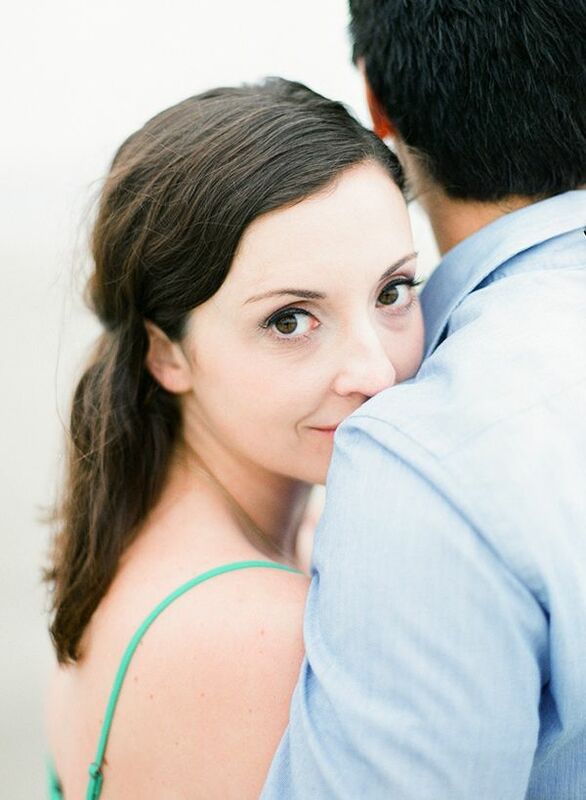 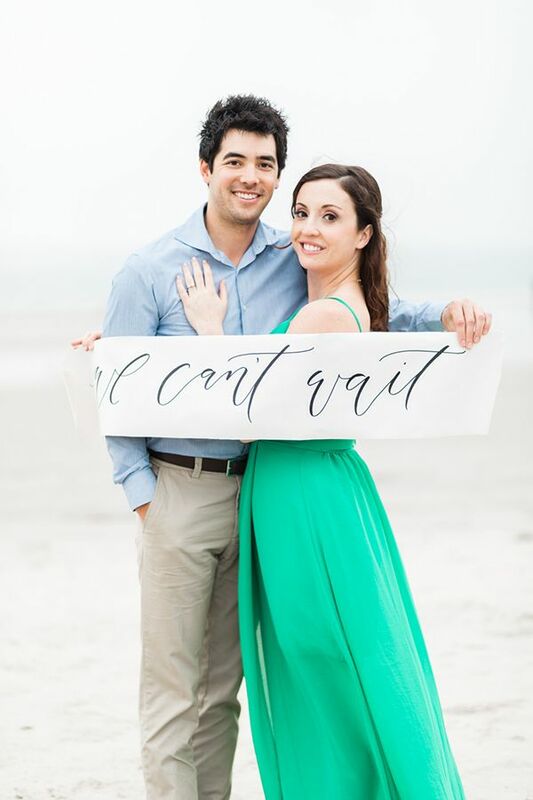 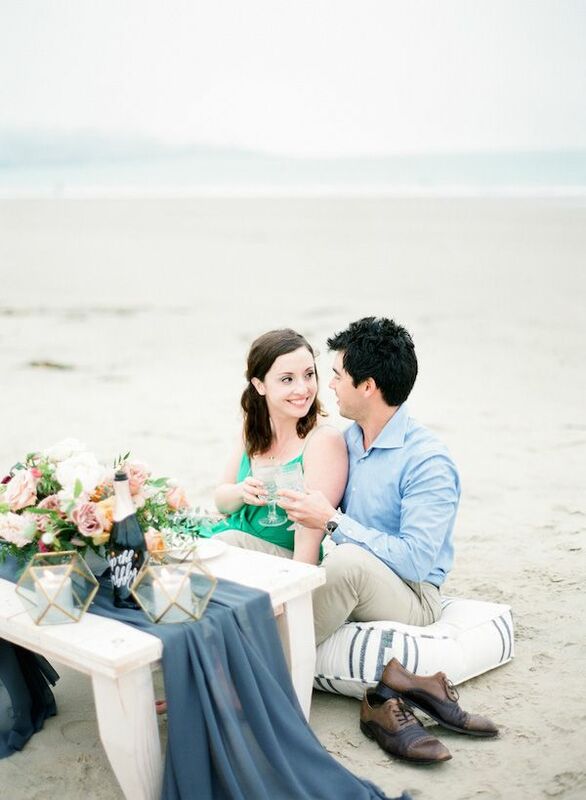 From the planner, "Rustic romance is brought to the shores of La Jolla in this coastal engagement shoot. 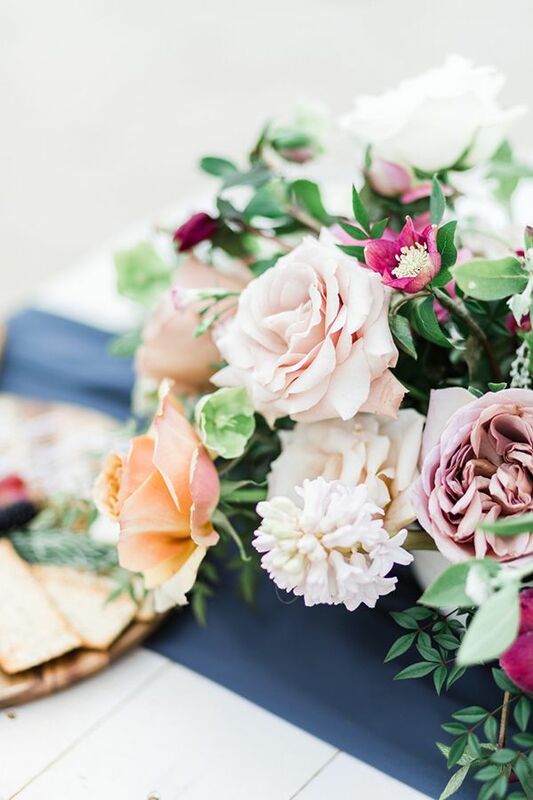 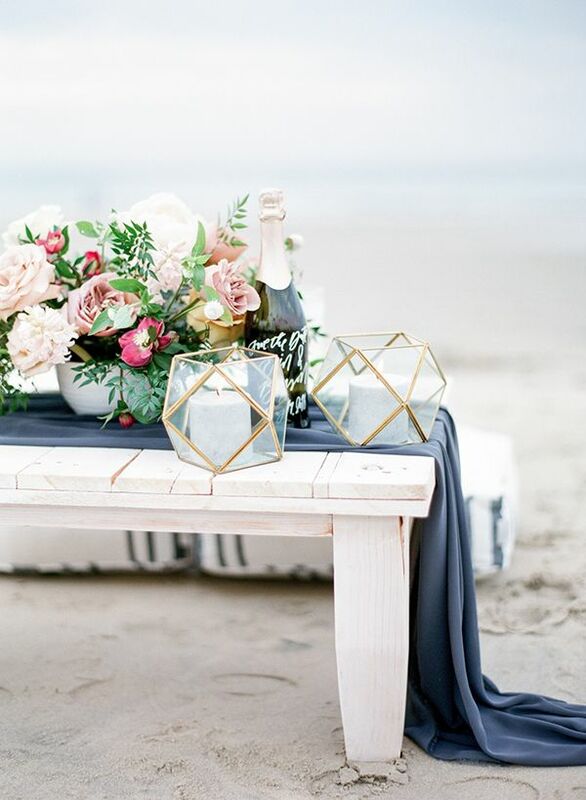 Our couples’ love for wine tasting, cheese pairings, and the west coast inspired the design of their seaside picnic. 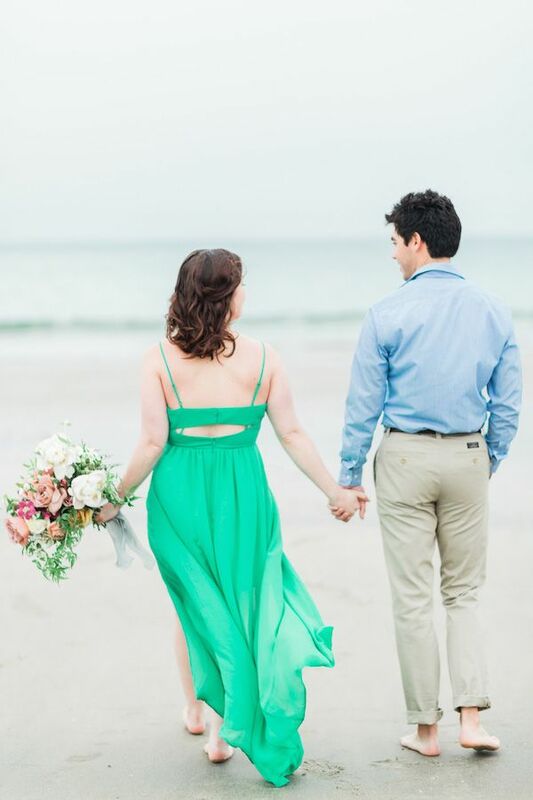 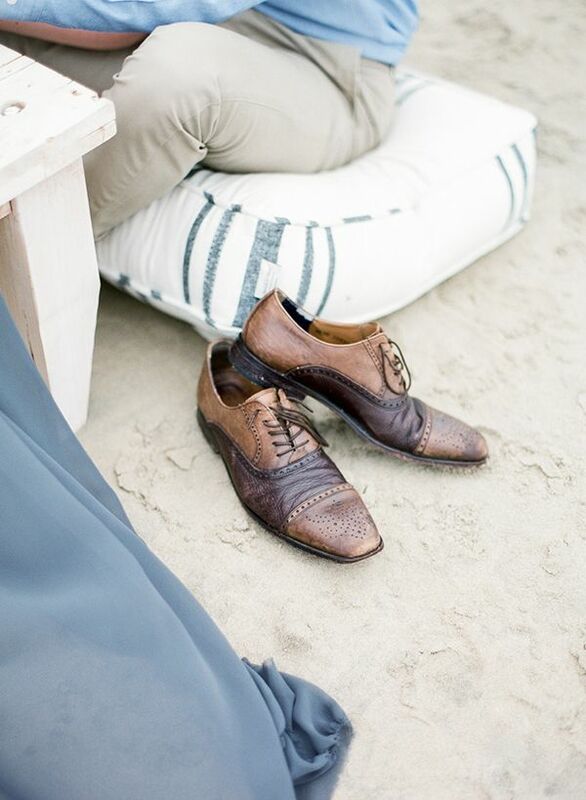 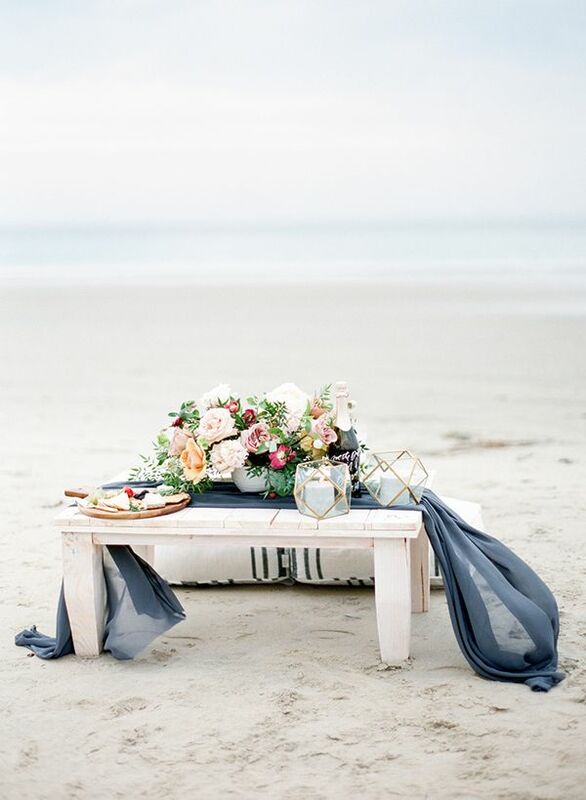 Sandy toes, moody skies & personalized details set the picturesque scene for this stylish ‘Save The Date’ shoot." 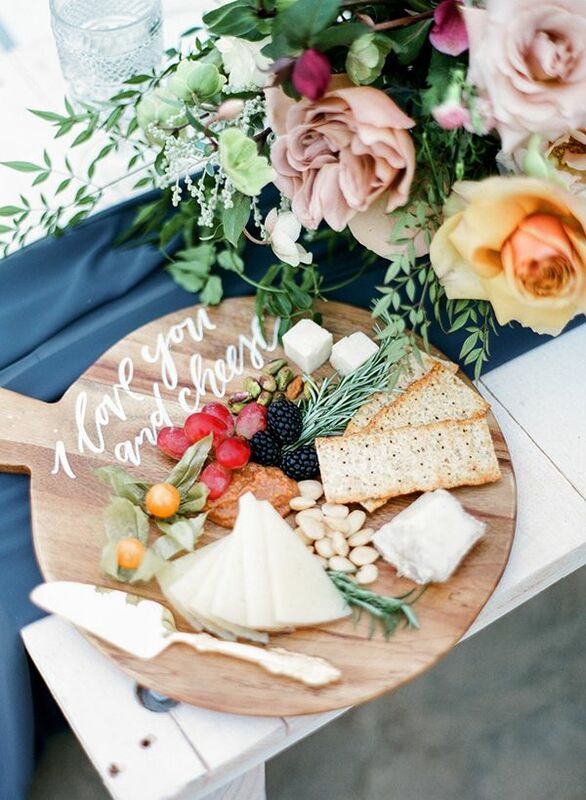 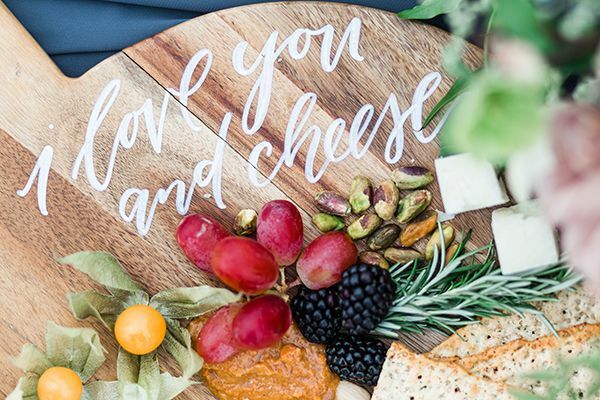 From the photographer, "Erin and Bryson have a very playful and sweet relationship that we highlighted with a fun cheese board filled by Giuseppe Fine Catering that was calligraphed by Four Things Paper." 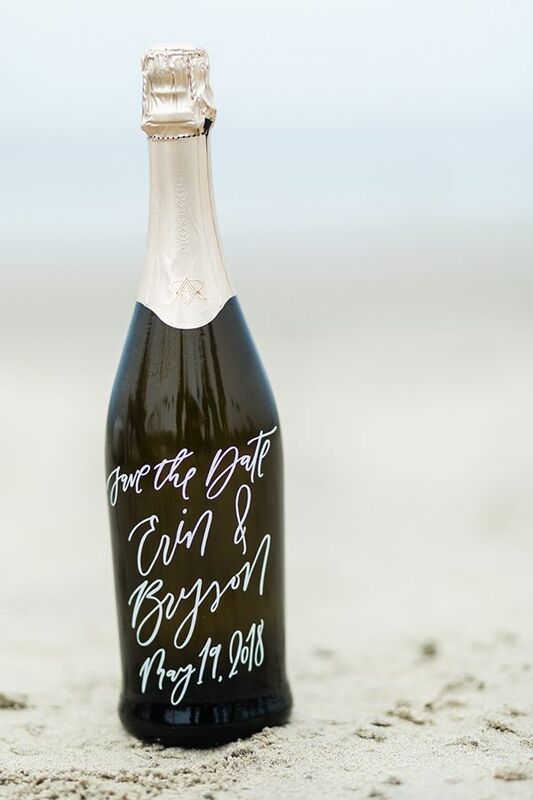 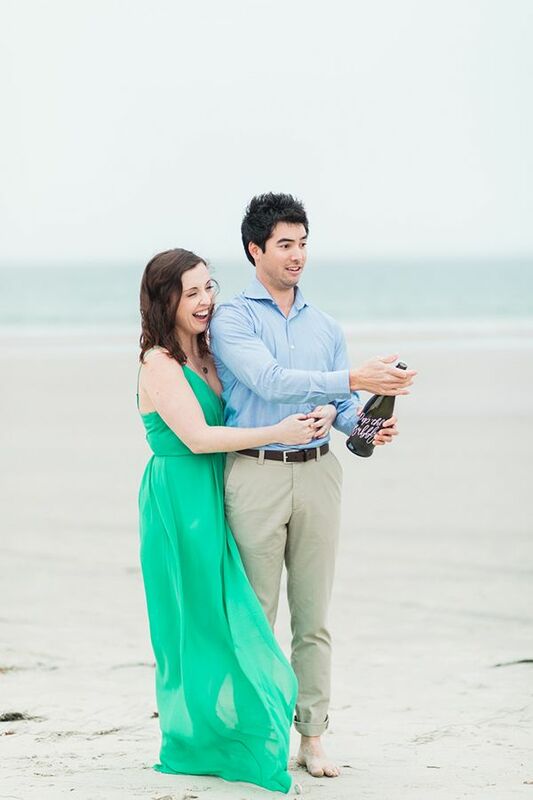 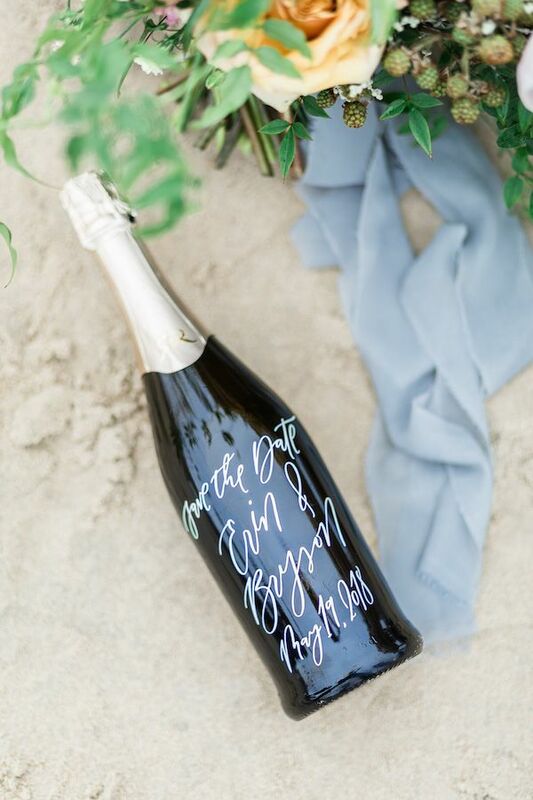 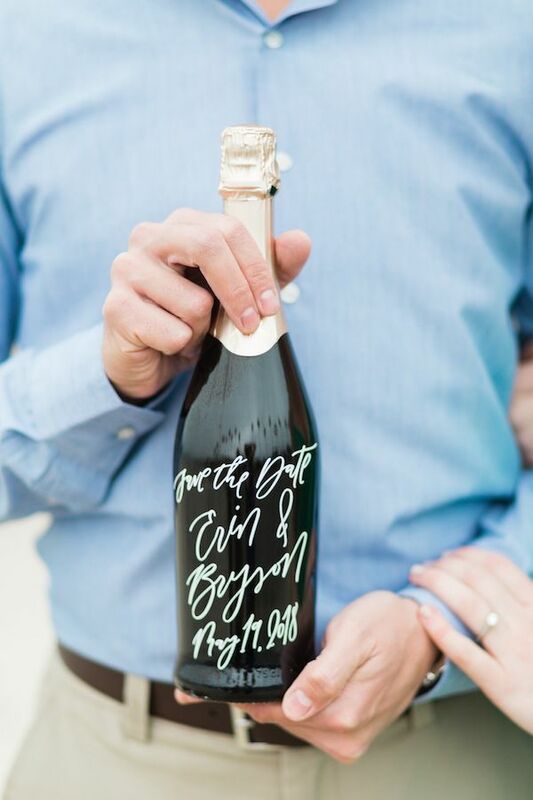 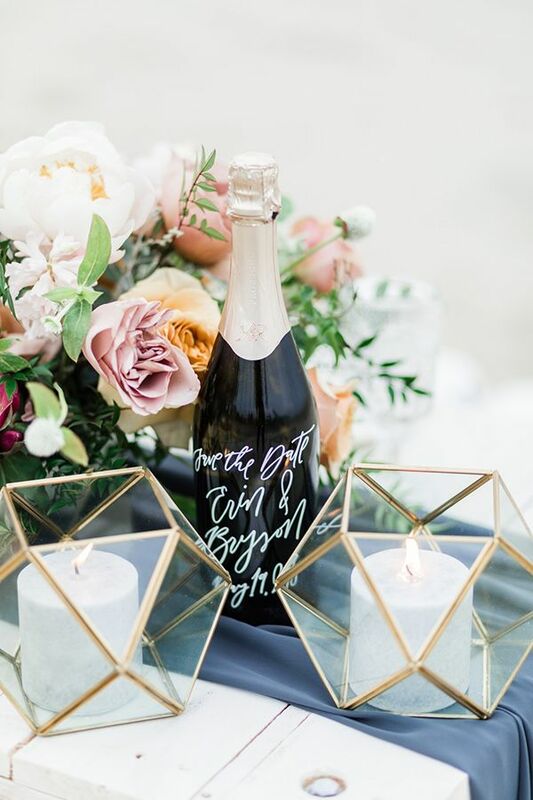 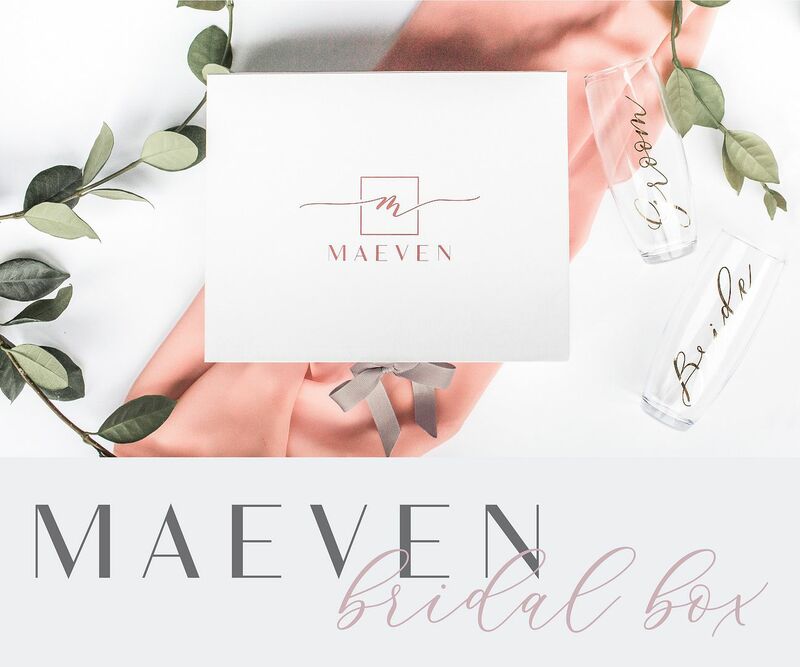 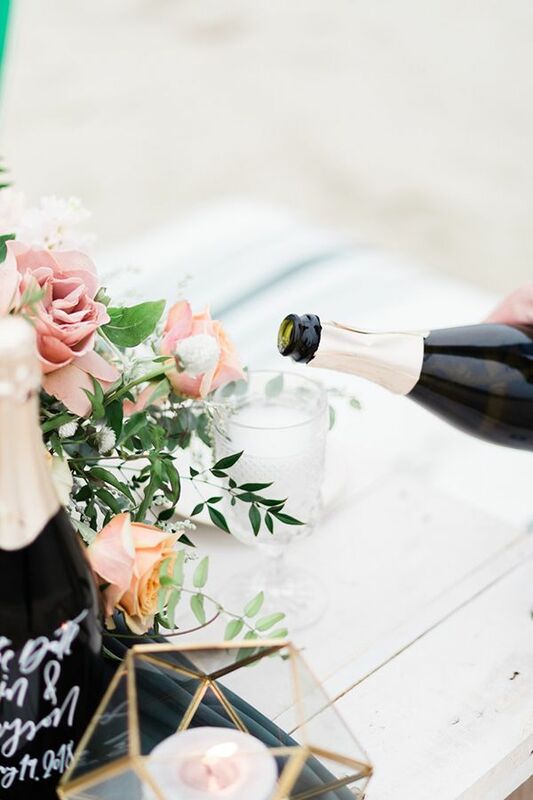 The couple also enjoyed a champagne keepsake calligraphed with their names and wedding date, while another "pop the bubbly" bottle was opened to enjoy with the picnic." 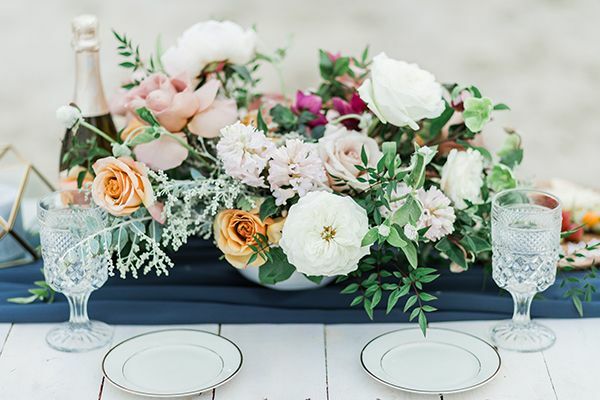 "The coziness of CC Vintage Rentals' furniture combined with the casual elegance of Not My Dish's tabletop rentals created a gorgeous, soft, and romantic picnic setting." 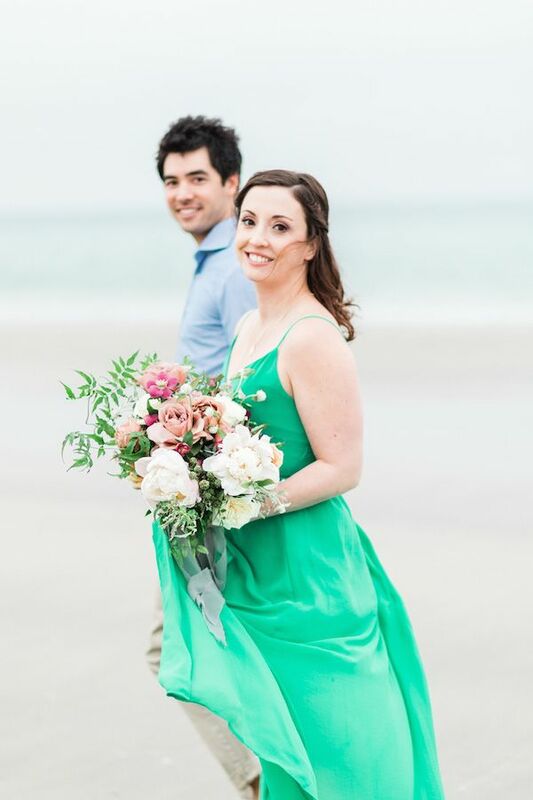 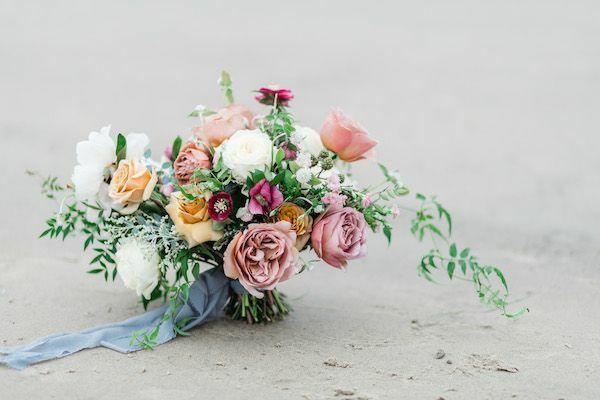 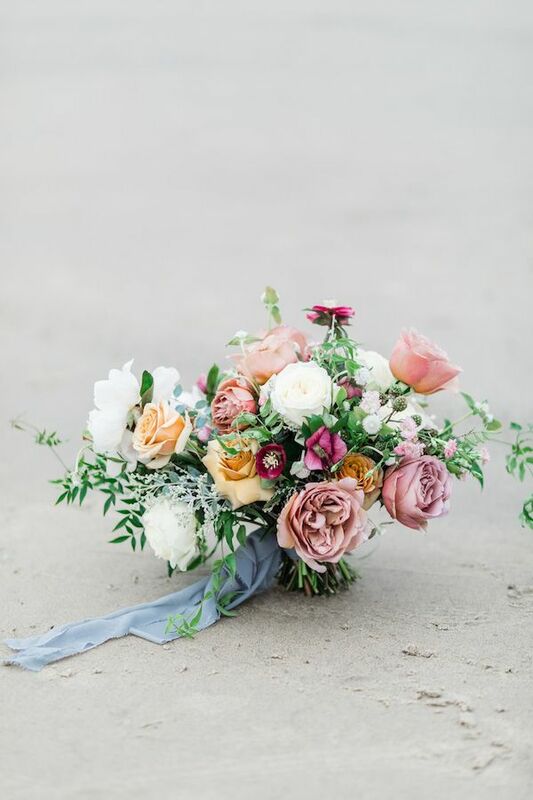 "Of course, Blue Ladder Botany's lush floral arrangement placed on top of our moody blue runner gave just enough of a color pop to this beach setting to make it a perfect complement to the neutral tones of the beach." 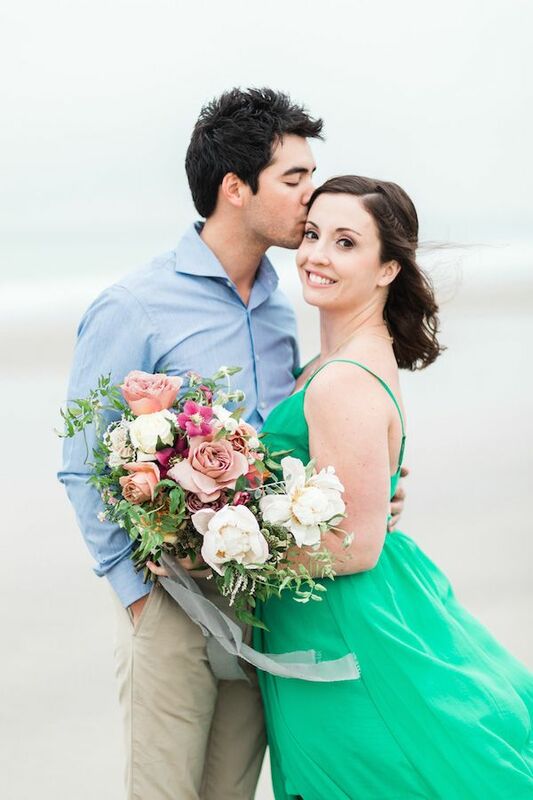 6 Comments " The Sweetest Beach Picnic Engagement Session in La Jolla "
The floral arrangement goes perfectly with the beach setting! 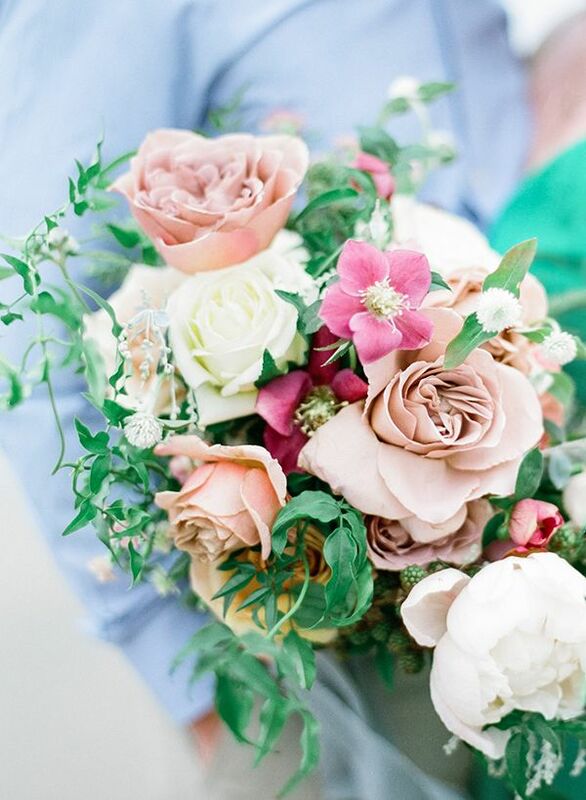 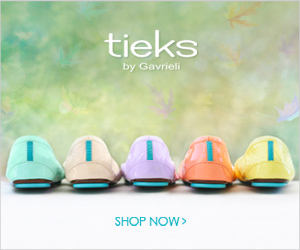 The colors are so refreshing! 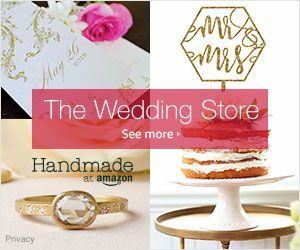 This is so amazing post! 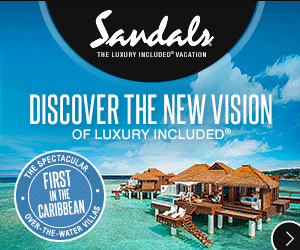 I am very glad to see this post because here are you share some interesting travel experience in sea beach. 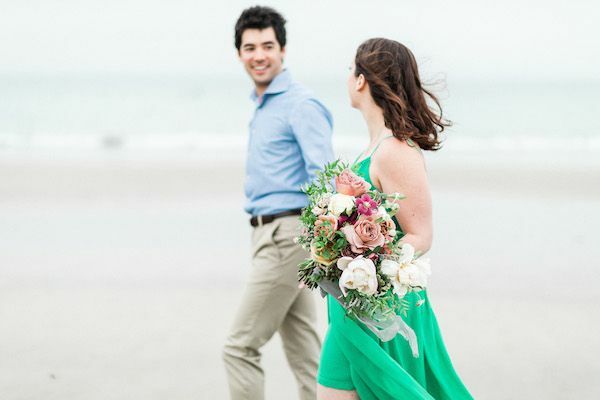 I am also love travelling and adventuring thats why I appreciate you for sharing this post! 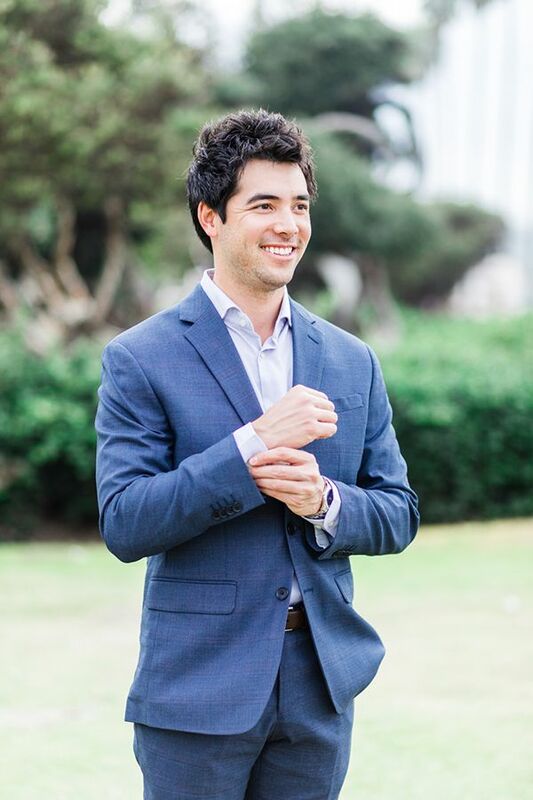 By the way I am Justin park an professional writer. 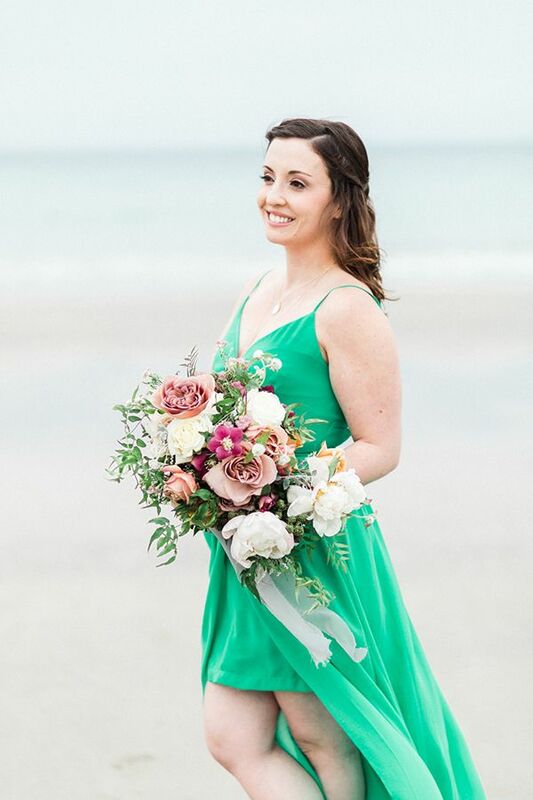 I am works as a freelance writer at https://eduzaurus.com/custom-papers Here I am delivering many kind of essay writing service. 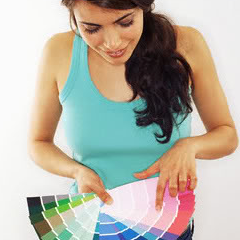 My passion is writing and helping to student for their academic solution.